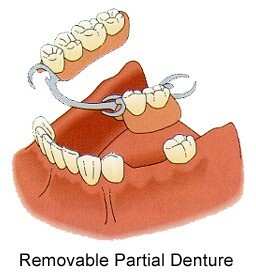 Removable Partial Dentures (RPDs)– is a REMOVABLE dental appliance that is used to replace one to several missing teeth. They are often made of pink acrylic attached to a metal framework with tooth coloured teeth. These partial dentures often have metal clasps that surround the remaining teeth to help keep the denture in place. Other common names and acronyms include PUD (Partial Upper Denture) and PLD (Partial Lower Denture). 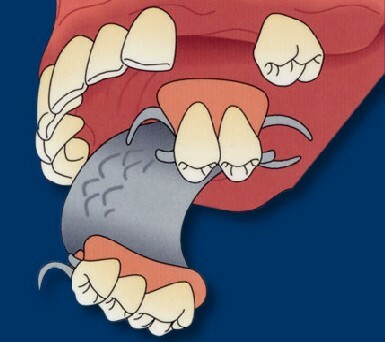 There are also several types or variations of this type of partial. Temporary partial dentures, often referred to as ‘Flippers’, are made of pink acrylic with acrylic teeth. They do not have the metal framework for strength and tend to be a bit more bulky. They sometimes have metal clasps and are more economical versus the metal framework RPDs. 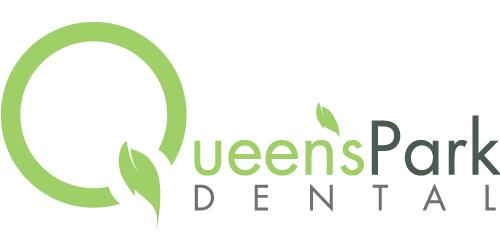 If you are interested in a Partial Denture or a Full Denture, we will be happy to refer to one of our great local denturists.